The home side started impressively with a large and powerful pack showing their intent to take on the lighter Kenilworth forwards. After only five minutes, however, Kenilworth scored an outstanding counter-attacking try from within their own 22. Full-back Rhys Jones gathered a kick off his laces and fed winger Ollie Burman who made 40 metres. Burman then found Gareth Renowden in support who fed the outstanding Mikkel Andresen to score a fantastic try under the posts. Newly elected kicker Ed Hannam added the extras. The home side responded with some good attacking moves but were unable to secure any continuity of possession due to Kenilworth’s outstanding work at the breakdown, with back-row forwards Andresen and Sam Harrison repeatedly scavenging opposition ball to provide the visitors with great counter-attacking opportunities. Hannam added a penalty to extend the visitors’ lead and, on the cusp of half-time, another breakdown steal from Harrison fed Andresen who again scored, this time from 35 metres out. Hannam added the conversion to give Kenilworth a 17-point interval lead. In an impressive first half, all aspects of Kenilworth’s game were on song. However, Nick Gerber, who produced a powerful performance in the back-row, had to be replaced around half-time because of a hamstring injury. After the break, Olney were still in the game but five minutes in, a quick tap penalty led to a further try, this time from the outstanding Harrison. Hannam again did the honours, giving Kenilworth a 24-0 lead. Some indifferent tackling from Kenilworth then allowed the home side to add a try shortly afterwards, which went unconverted. However, Kenilworth maintained their pressure and a superb pick-up by wing Josh Emery led to another try. Hannam’s successful conversion made the score 31-5. Olney scored a further try which was converted to reduce the deficit to 19 points but Kenilworth’s Renowden and Alex Selby continued to control the game well. 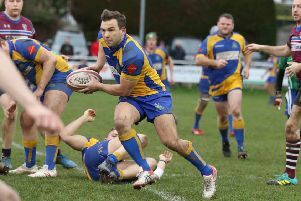 With less than ten minutes to play, an Olney player was yellow-carded for a deliberate knock-down and a try followed from the ensuing maul, scored by captain Bobby Thompson. Hannam’s kick went just wide of the uprights as Kenilworth held a 36-12 advantage. 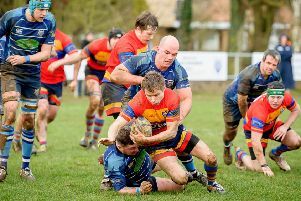 Substitute forward Edward Rogers added dynamism when he came on to the field and replacement prop Dan Roberts maintained Kenilworth’s scrummaging dominance. Olney added a late try but it was a mere consolation as Kenilworth secured a splendid victory. Kenilworth will take on league rivals Kidderminster in the Midlands final at Glasshouse Lane on Saturday March 16.